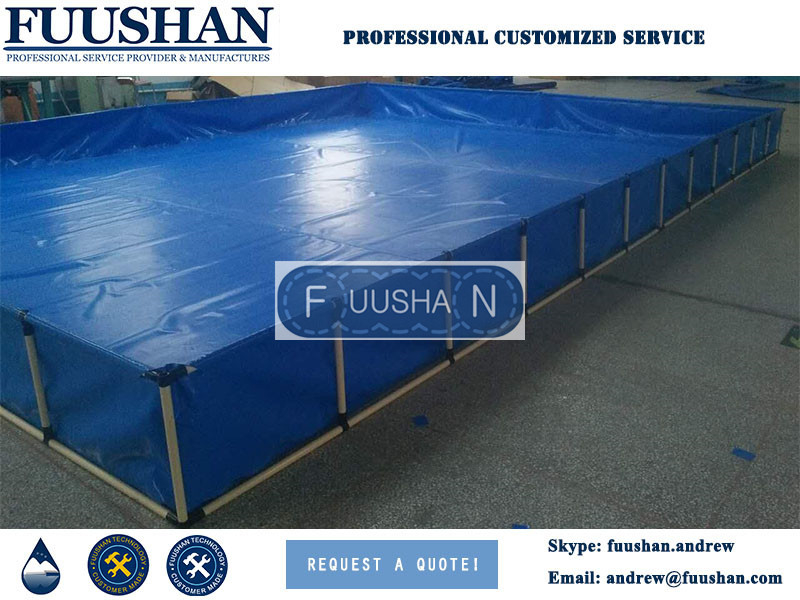 Fish Farming Tank are made from a high quality PVC UV resistant and reinforced fish safe PVC liner designed with the utmost safety and care. 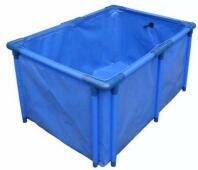 These tanks are often seen at koi show and aslo used in transporting fish or quarantining fish. All plastic parts, no metal to rust! 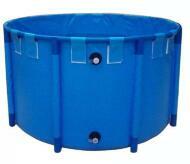 Show tanks are currently available in two shapes and many different size for choosing. Fish Farming Tank can be used to store industrial water, fire water, rainwater harvesting, irrigation water, concrete mixing water, slope green water, sewage water storage, oil well cementing, diesel oil, aviation fuel and food oil.